A flow map is a perfect mixture of a flow chart and a geographical map. This gives us the ability to keeps records and visualize movement over the earths surface. 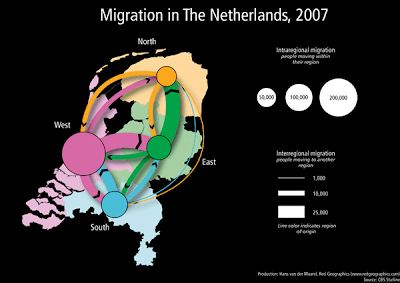 The map above is an example of the migration in the Netherlands in 2007.